Shavo Odadjian, bassist for GRAMMY Award-winning metal band System Of A Down, is a true renaissance man. In addition to his bass duties with SOAD, he’s also an acclaimed music video director, music producer and artist. Shavo recently joined us for an episode of Ernie Ball: String Theory. Here are the top six things we learned during the episode, along with a timestamp for each segment so you can follow along. At age 5, Shavo saw KISS performing on the television show Solid Gold, and he knew immediately that he wanted to make music. He got his first instrument, “a Kramer guitar with a little Randall amp,” and practiced it every day until he knew how to play. He continued through his teenage years, up until the point that he was looking for a bass player. He couldn’t find the right person, so he switched to bass, hooked up with guitarist Daron Malakian and formed System Of A Down. He had only been playing bass for six months at the time the band started. Shavo tunes his bass down to Drop-C (CGCF). Instead of tuning a typical E string down to C, resulting in floppiness from a lack of adequate tension, he uses a 130 (typically used for B strings) and tunes it up to C. He uses an 85, 65 and 45 to complete the set. Watch every episode of Ernie Ball: String Theory at our website, featuring such players as Kirk Hammett, Chris Broderick, Kurt Vile and more. You can also enjoy some of System Of A Down’s most popular songs in this Spotify playlist. 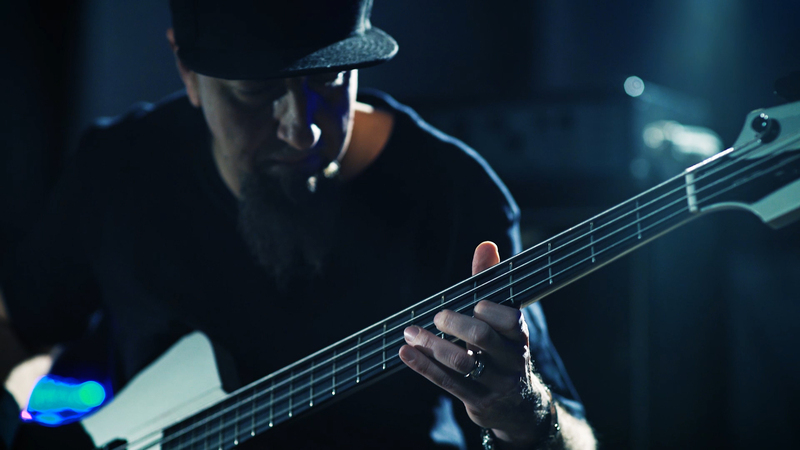 Shavo Odadjian plays Ernie Ball Regular Slinky Bass 5 strings and Regular Slinky guitar strings. Do you? Try a set.